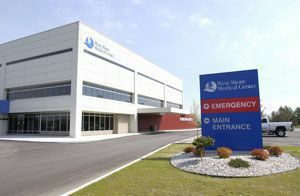 Our Manistee County medical malpractice lawyers handle medical malpractice cases against Manistee County hospitals and their staff memebers for medical errors and medical malpractice that cause injuries or death to the patient. When a patient dies due to medical malpractice, it can give rise to a wrongful death lawsuit. If you or a loved one has been a victim of medical malpractice in a Manistee County hospital, you may be able to file a lawsuit seeking compensation for your injuries. Call our award winning legal team today at (800) 606-1717. We will listen to your story and determine if you are eligible to file a claim. There are strict time deadlines so it is important that you call us today. Our Manistee County medical malpractice lawyers handle lawsuits in Manistee, Bear Lake, Copemish, Eastlake, Kaleva, Onekama, Arcadia, Brethren, Marilla, Norwalk, Pierport, Parkdale, Wellston, Manistee Township, Norman Township, Stronach Township, and every other village, township, and city in the county.